Lucky Man. 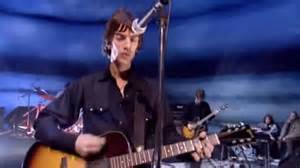 An old song by The Verve from a performance on Later with Jools Holland. Tagged Jools Holland, Lucky Man, The Verve.